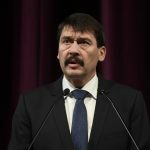 Cooperation between Hungarian scientists of the Silicon Valley and Hungary’s “dynamically developing” digital economy could be beneficial for both parties, President Janos Ader said on Wednesday, on a visit to Redwood City, California. 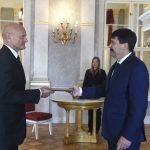 The president met representatives of local Hungarian communities, and spoke highly of the initiatives of Hungarian researchers in California, but noted that they could also build on the achievements of their peers in Hungary. He also noted that in terms of the volume and number of employees per capita Hungary’s was the second largest digital economy in Europe. As part of his California programme, Áder visited Stanford Research Institute International in Menlo Park and was informed about research into new ways of binding carbon dioxide in SRI International.